A group representing Swiss bank employees demanded an apology from Credit Suisse boss Brady Dougan on Thursday after he said the practice of helping Americans conceal their wealth was the work of a few dishonest employees. He said the wrongdoing appeared to have taken place before 2009 despite "industry-leading compliance measures" at the bank. The body representing staff at Credit Suisse and other Swiss banks reacted with astonishment to Dougan's comments, saying it was "hardly credible" that the bank's bosses knew nothing of the practices. "It was common knowledge that tax evasion was the strategy, a business model pursued by many banks for a long time," the Schweizerischer Bankpersonalverband said in a statement. It said Dougan's comments "vilify lots of employees that had nothing to do with offshore U.S. banking", and demanded he apologize to the bank's 46,000 staff. Credit Suisse management has accepted responsibility for wrongdoing by its staff, while rejecting any suggestion that it was bank policy to help foreign clients hide their wealth from their governments. "Credit Suisse repeatedly said that wrongdoing was centered around a small group of employees. This reflects the findings of our internal investigation as well as statements made by the SEC (Securities and Exchange Commission) in their order of February 21, 2014," the bank said in an emailed statement. When the bank sent data on employees to U.S. prosecutors investigating its U.S. dealings last year, some staff voiced outrage and went to court to prevent Credit Suisse from releasing the data. First, I don't know the facts except anecdotally from an outside practitioner's perspective. Second, I have seen enough both in practice and in other sources that I can draw inferences that have a high probability of being fair. Third, the Swiss bank problem is so systemic -- not just U.S. enabled tax evasion, but similar acts and general skullduggery, all centered on Swiss secrecy -- that Credit Suisse had the culture that led to U.S. enabled tax evasion, similar acts and general skullduggery. Are the participating employees not culpable. No. Is the institution culpable. Yes. Does that mean that everyone in the Credit Suisse organization is culpable. No. But some are. And that some has to include management which allowed the general culture where such systemic behavior could thrive until they were caught red-handed and, not only caught, but caught by some power with the power to do something about it. The Swiss Government and bankers should have done something about this long ago. They didn't. They now will be brought to task. But it is not just rogue employees that should be brought to task. Having observed the tax shelter operations of the big accounting and law firms, the Swiss bank behavior -- exemplified by UBS, Credit Suisse and others among the 14 (as well as Category 2, who can buy their way out) -- the Swiss behavior is much worse. In my opinion. For what it is worth. Prior to sentencing, Berg paid restitution to the Internal Revenue Service (IRS) of more than $250,000 as well as a penalty of $287,896 for failure to properly report his foreign account. Berg previously pleaded guilty to willfully failing to file the required report of foreign bank account for an account he controlled in 2005 at UBS in Switzerland that had a balance over $10,000. According to court documents, Berg began working as a consultant in 1999. In 2000, Berg met with Beda Singenberger, a Swiss financial consultant, and a vice president of banking at UBS in San Francisco regarding setting up a bank account at UBS in Switzerland to shelter a portion of his consulting income from taxation. Beginning in 2001 and continuing through 2005, Berg used wire transfers to deposit $642,070 in earned income into UBS accounts. Berg used money in these Swiss UBS accounts to purchase a vehicle, to obtain cash while in Europe and to pay the balance on a Eurocard he used while traveling in Europe. Berg did not disclose the existence of his accounts at UBS in Switzerland to his certified public accountant, and also failed to disclose the income earned by these accounts or the consulting income deposited to the accounts. The tax harm associated with Berg’s conduct exceeded $250,000. Maybe I'll do an analysis of the correlation of indicated wealth to sentences. I don't know Mr. Berg's wealth, but doubt that it matches Ty Warners. I wonder if there is some reverse correlation there. That limited data set does not prove it, of course. Will take a lot more work. The U.S. Securities and Exchange Commission is investigating whether Credit Suisse improperly shifted money in its private banking unit to obscure a drop in asset growth amid the U.S. probe, said a person familiar with the matter. U.S. District Judge William Dimitrouleas today accepted the plea agreement and said it included a recommendation that Lack be sentenced to five years’ probation. The agreement also recommended that Lack receive no fine or be forced to make restitution, the judge said. “As a condition of probation the lawyers are going to recommend that I require you to cooperate in any investigation they might be interested in,” Dimitrouleas said, noting Lack had already begun to cooperate with federal investigators. “I’m very sorry for what I did and I apologize,” Lack told the judge. Of course, the restitution numbers for the active enablers such as Lack, etc., would be very large. The plea is to a Title 18 offense for which restitution is available without a specific agreement in the plea. Although the restitution number and the tax loss may be roughly the same (OK, there may be differences), the judge will likely be aware that the tax loss number is large and hence that the potential restitution -- which the U.S. is not seeking -- could also be large (albeit net of collections from the taxpayers). In any event, presumably the judge will take the recommendations or not vary materially from them. A reporter's contemporaneous notes of the first hearing. Shannon Bond, As it happened: Credit Suisse Senate hearing (Financial Times 2/26/14), here. Here is one report of statements by CEO Brady Dougan: David Voreacos, Alan Katz and Elena Logutenkova, CEO Dougan Says Executives Weren’t Aware of U.S. Tax Dodges (Bloomberg 4/26/14), here. Senator John McCain, an Arizona Republican on the committee, said it’s not plausible that senior management wasn’t involved, considering the “systemic” misconduct. “If you believe that, I have some beachfront property in Arizona,” McCain said yesterday in a briefing on the report. JAT Comments: 2:18 pm: Deputy Attorney General James M. Cole contrasted the OVDI/P results of 43,000 doing voluntary disclosure under OVDI/P. Prior to that, he claimed, the voluntary disclosures per years were about 50 to somewhat over 100 per year. This is a bit misleading. The IRS got far more "voluntary disclosures" than that. They were quiet disclosures which, at least outside the new OVDI/P initiatives, practitioners believed and practitioners' anecdotal evidence confirmed had the desire effect of voluntary disclosures -- i.e., no criminal prosecutions. And, by doing the quiet disclosures, in almost all cases, civil penalties were avoided because (i) the quiet disclosures were treated as qualified amended returns which avoid the accuracy related penalty and (ii) the IRS did not spend the resources to determine whether the civil fraud penalty could apply. I understand that even where noisy quiet disclosures were made in the past, it was problematic as to whether any civil penalties were asserted. At least to some extent, it is almost healing to see that bipartisanship is possible. And, if there is this degree of bipartisanship, those who are "deniers" -- Swiss banks and their enablers and their apologists -- should check into the real world. I made the point early in this process that the only practical difference between Swiss bankers and Somali pirates is that Swiss bankers wear suits. These Swiss bankers testifying today wore the uniform. But, as the truth has come out, Swiss bankers would wear anything appropriate to the schemes they were promoting -- such as wearing Hawaiian shirts while claiming to be on vacation in the U.S. And, as they look for more profit opportunities, they may even find it convenient to wear the garb of the Somali pirates (they too want to hide their ill-gotten loot). 2:41 pm: Cole just testified that the U.S. Swiss Bank Initiative would generate a lot of leads about bankers and enablers that can be prosecuted. I have been double tasking while this testimony was going on and taking some calls. Still, I don't think Cole really knows the detail they are asking him about. That's not surprising since he covers a whole lot of responsibilities at DOJ than this narrow(er) area. Senator McCain is now asking whether 1 prosecution out of 14 or 15 (I suppose the Wegelin prosecution) is "success" or "progress." Keneally says it is progress. McCain is skeptical. I previously blogged that the Senate Permanent Subcommittee on Investigations (a subcommittee of the Committee on Homeland Security and Governmental Affairs) would be conducting an investigation commencing tomorrow, February 26. See U.S. Senate Committee Investigation of Crackdown on Offshore Tax Evasion (Federal Tax Crimes Blog2/20/14), here. The Majority and Minority Staffs of the Subcommittee have produced a report, titled Offshore Tax Evasion: The Effort to Collect Unpaid Taxes on Billions in Hidden Offshore Account. The report is available for download here. The report is 181 pdf pages. I cut and paste below the Executive Summary, pp. 1-8 of the report (footnotes omitted). I will follow through with further comments on the balance of the report and the hearings and aftermath from time to time. This investigation arises from the Permanent Subcommittee on Investigations’ longstanding focus on offshore tax abuse, including U.S. taxpayers using hidden offshore accounts. In 2008 and 2009, the Subcommittee held three days of hearings and released a bipartisan report examining how some tax haven banks were deliberately helping U.S. customers hide their assets offshore to evade U.S. taxes. The hearings focused on two tax haven banks, UBS AG, the largest bank in Switzerland, and LGT, a private bank owned by the royal family of Liechtenstein. On the first day of the hearings, UBS acknowledged its role in facilitating U.S. tax evasion, apologized for its wrongdoing, and promised to end it. It later entered into a Deferred Prosecution Agreement with the U.S. Department of Justice, paid a $780 million fine, and turned over about 4,700 accounts with U.S. client names that had not been disclosed to the Internal Revenue Service (IRS). It also committed to disclosing to the IRS all future accounts opened for U.S. persons. Since then, significant progress has been made in the effort to combat offshore tax abuses. World leaders have declared their commitment to reduce cross border tax evasion. Tax havens around the world have declared they will no longer use secrecy laws to facilitate tax dodging. In the United States, over 43,000 taxpayers joined a voluntary IRS disclosure program, came clean about their hidden offshore accounts, and paid over $6 billion in back taxes, interest, and penalties. In addition, Congress enacted the Foreign Account Tax Compliance Act (FATCA), which requires foreign banks to either disclose their U.S. customer accounts on an automatic, annual basis or pay a 30% tax on their U.S. investment income. Just this month, at the request of G8 and G20 leaders, the Organisation for Economic Co-operation and Development (OECD) issued a model agreement that, like FATCA, will enable countries to automatically exchange account information to fight cross border tax evasion. I don't spend much time or energy in this blog covering stolen identity refund fraud (SIRF) in the federal tax system. The reason is that I view identity theft fraud in the tax system -- usually by filing false claims for refund -- as being apart from the tax fraud where the taxpayer attempts to lower his tax or, if an enabler, the enabler tries to lower the enabled taxpayer's tax. In these cases, the taxpayer seeks to avoid paying his share of the burden of government - as Justice Holmes said, the cost of civilized society. With identity fraud, however, the culprit merely seeks to blatantly steal from the Government via the tax system, just as a thief would steal by breaking and entering or defrauding. Still identity theft fraud via the tax system is a big deal. DOJ Tax recently issued a press release touting its efforts to curb identity theft fraud. Such press releases are intended to discourage others from participating in this genre of identity theft fraud. The press release, titled Justice Department Highlights Efforts to Combat Stolen Identity Tax Refund Fraud, is here. I only have one comment. The press release states that in fiscal year 2013 "more than 580 indictments or informations charging more than 880 defendants with SIRF-related crimes". CI's annual business report, which I blogged yesterday, here, reports that SIRF indictments in the 2013 fiscal year numbered 1050. I don't know why there is such a material difference in the numbers. Janet Novack is a great tax reporter. She has this blog entry -- Beanie Babies Billionaire Ty Warner Secretly Fought Giving Bank Records To Grand Jury (2/24/14), here. Without further thought, I can not add anything meaningful right now to Ms. Novack's excellent blog entry. But the caption of this blog suggests my conclusion that Ty Warner may have smoked a fast one past the criminal tax justice system. A Mel Brooks film once had the line: "It's good to be king." In Ty Warner's case, it's good to be rich. I do think the Ty Warner sentencing will test the limits of Booker discretion in the sentencing courts. IRS CI Annual Business Report Report for FY 2013, here. There are no statistics for general tax fraud. There are statistics on p. 26 for international operations investigation, prosecution and sentencing statistics (the anecdotal discussion leading to these statistics starts on p. 24.) The anecdotal convictions and sentencings are for Peter Troost, Sameer Gupta, Leopoldo Valencia-Urrea, Aristotle R. Matsa. I have written on this blog about all of these except Mr. Valencia-Urrea. The statistics for international operations may be correct, based on the criteria for the statistics. I don't know what that criteria is, however. I know that the data I maintain for the offshore bank convictions and sentencings is not consistent with the indicated 51 months average sentence indicated in these statistics. Maybe I will try to dig in, but just don't have the time now. U.S. authorities are scrutinizing Americans' use of Swiss insurance products to determine if they have been used to hide assets, signaling a potential new direction in the U.S. legal crackdown on tax evasion in the Alpine country, according to people with knowledge of the matter. The U.S. Justice Department and the Internal Revenue Service are looking at the use of private placement life insurance, or PPLI, a product that meshes banking and insurance by linking the value of a client's policy to assets held in a Swiss bank account, these people say. Swiss insurers offering the product, which can be used legally by Americans to defer taxes, have nonetheless sought to reduce ties to U.S. clients. At least three big insurers say they aren't accepting new U.S. clients. In December, Swiss Life Holding AG SLHN.VX -0.15% returned funds to hundreds of Americans who had invested in PPLI policies. Those policies were linked to accounts at Bank Frey & Co. AG, which is among a number of Swiss banks that have disclosed being under criminal investigation in the U.S. for allegedly aiding tax evasion, according to people familiar with the matter. PPLI policies are generally a lawful way for clients to defer taxes on wealth as it grows. But policies can be problematic for their owners and carriers if they haven't been set up in compliance with tax laws in a client's home country, or if they are loaded with undeclared assets. The Swiss banks that partner on PPLI once happily accommodated wealthy U.S. clients, but have more recently jettisoned Americans to avoid drawing unwanted attention from the Justice Department. Unlike banks, insurers are contractually bound to hold policies and pay out for a specific event, such as death. Only an unusual circumstance like Bank Frey's closure allows an insurer to prematurely dump a PPLI policy. Hundreds of Swiss banks have applied to a U.S. program in which they exchange information about dealings with Americans for guarantees they won't be prosecuted. Insurers aren't able to participate in the program. I don't think it is a surprise that insurance products can mimic the essential features of financial accounts and thus should be treated as financial accounts, but provide an added guise in the form of appearing to be an insurance product or have some blended features of an insurance product. If the IRS and DOJ Tax were not interested in those products, that would be an easy way of avoiding the gains made in transparency with banks. The article also notes that "Hundreds of Swiss banks have applied" to the U.S. Swiss bank initiative. The later authoritative source information I have seen indicated that 106 banks joined as Category 2.
Credit Suisse Group AG (CS) agreed to pay $197 million to regulators and admitted servicing thousands of U.S. clients without approval, leaving unsettled a criminal probe of whether it helped Americans evade taxes. Credit Suisse, the second-biggest Swiss bank, never registered a cross-border securities business that served 8,500 client accounts between 2002 and 2008 and collected $82 million in fees, according to a settlement today with the U.S. Securities and Exchange Commission. The accounts were valued at about $5.6 billion in 2008.
Credit Suisse’s advisory and brokerage services began as early as 2002 and involved more than 107 trips to the U.S. by relationship managers. The bank was aware of the registration requirement, though the procedures it had to prevent violations weren’t properly implemented and monitored, according to the SEC. Credit Suisse was slow to implement rules that would have forced its bankers to follow local laws, according to the SEC. After some bankers were arrested in Brazil in 2006, including the head of private banking in the country, Credit Suisse started a project it called “Cross-Border+.” The head of the bank’s Switzerland-based group that handled American accounts complained that the proposed rules were too strict. When Credit Suisse’s auditors looked into the handling of U.S. accounts in 2006, some bankers altered reports to take out references to American trips that broke securities laws, the SEC said. The auditors dropped some preliminary findings of cross-border issues from their final report. Credit Suisse didn’t begin taking steps to end the business until October 2008, after probes into similar conduct by UBS had been publicized, the SEC said. The majority of U.S. client accounts were closed or transferred by 2010 though the bank still held an average total of about $34 million in American client accounts by mid-2013, according to the SEC. The hearing will focus on “the status of efforts to hold Swiss banks and their U.S. clients accountable for unpaid taxes on billions of dollars in hidden assets,” according to a statement by the committee. Chairman Carl Levin, a Michigan Democrat, estimates that offshore tax avoidance costs the U.S. Treasury more than $100 billion a year. Witnesses will represent an unidentified Swiss bank and the Justice Department, the committee said. Since 2009, the U.S. has charged more than 70 U.S. taxpayers and almost three dozen bankers, lawyers and advisers with using hidden accounts to cheat the Internal Revenue Service. At the same time, the Justice Department hasn’t resolved criminal probes involving Credit Suisse, the second-largest Swiss lender, and other banks. “If I were Senator Levin, I’d ask the Justice Department, ‘You did this program with the Swiss and 106 banks signed up for non-prosecution, so will you take that prototype to other countries with a history of unreported bank accounts, such as Israel, India, Singapore and Hong Kong?’” said Lawrence Horn, a tax attorney at Sills Cummis & Gross in Newark, New Jersey. There is a new GAO report, IRS’s Offshore Voluntary Disclosure Program: 2009 Participation by State and Location of Foreign Bank Accounts, GAO-14-265R (1/6/14), here. I have not had time to review it. If I find time (time is scarce now because of other demands), I will comment later. Congress is on a roll, trying to track down hidden offshore accounts, and the latest news is a report that shows which states have the most taxpayers disclosing such accounts (California is No. 1), and where they are located (Switzerland is tops). All told, taxpayers in at least 45 states and the District of Columbia reported accounts in 68 countries and territories. With the brouhaha surrounding the sentencing in offshore account cases generally and in Ty Warner's case specifically, I thought that this New York Times Opinion Page Room for Debate is time. The debate is titled is "Sentencing and the ‘Affluenza’ Factor" and the topic is "To what extent should life circumstances affect sentencing in criminal cases?" The debates may be viewed here. This month a judge in Texas ordered a 16-year-old boy who killed four people in a drunken-driving crash to enter rehabilitation as part of 10 years of probation she imposed without a jail sentence. A defense psychologist had said the teenager suffered from ”affluenza,” his judgement stunted by his pampered, privileged upbringing. The case has angered many who have said that a poor person would have been imprisoned, without the same considerations. To what extent should life circumstances affect sentencing? While this debate is a larger one, it certainly is one that plays out in the offshore account cases and, in some sense, in tax sentencing cases generally. The debate persists as both poor and wealthy attribute their crimes to the burdens of their circumstance. The indigent criminal has too few options; the affluent too many. If the poor and the rich want to be deemed equal before the law, we have the right to demand that they equally obey the law, even if the pressures to do so may vary from individual to individual. The “affluenza” case demonstrates that we have much work to do to eliminate disparity from our justice system. How can a person convicted of vehicular homicide escape harsh punishment because he was too privileged to know better while the life circumstances of the poor, who make up the vast majority of our prison population, are irrelevant? Having taken over the mantle of the world’s fastest growing wealth management magnet from Switzerland, Singapore should now take centre stage in bringing the industry out of the shadows, according to an Asian private banking expert. Philip Marcovici, who has advised governments such as Liechtenstein on addressing the crackdown on tax evasion, spoke to swissinfo.ch after recent revelations from the International Consortium of Investigative Journalists. The ICIJ has accused Swiss banks of helping relatives of Chinese leaders set up opaque financial structures in far flung tax havens. The ICIJ claims, using data obtained from entities based in Singapore and the British Virgin Islands, do not prove criminal activities. But the findings cannot fail to cast doubt on the industry after high profile clients were investigated and prosecuted following similar revelations last year from the Washington-based media organisation. What the sentencing statistics for the offshore cases since 2009 show is that the defendants who have been prosecuted and have pled guilty have received substantially lower sentences than we might have expected under the now advisory Federal Sentencing Guidelines (‘‘Guidelines’’). These cases are ‘‘outliers.’’ While I have not undertaken an empirical study to support my views, I will provide my thinking as to why these cases are outliers in criminal tax sentencing, why they are not reflective of sentencing for tax crimes in general and, importantly, why these sentences may not be a good indicator of sentences in offshore criminal tax cases in the future. The word on the street is that because of the amount of resources required to administer the OVDI programs, the IRS is revamping the program, but it will no doubt work very much like the 2012 program, which looked very much like the 2009 and 2011 programs, but with possible increased penalties. While there have been criticisms of the OVDI programs, both in the terms of the way they were administered and the ‘‘one size fits all’’ penalty approach, it is fair to say that from a tax enforcement and compliance perspective, it has been a great success. The OVDI programs have brought more than 43,000 U.S. taxpayers back into U.S. tax compliance and are credited with the collection of tax, interest and penalties in excess of $5 billion.1 The level of voluntary disclosures and increased offshore tax compliance is unprecedented. Randall Samborn, a spokesman for the U.S. Attorney's Office, explained that the filing is a "protective notice of appeal," meaning that it’s still awaiting Justice Department authorization to proceed with the appeal. The filing notice protects its appellate rights, he said. As noted, it is not uncommon for the Government to take protective appeals if the final decision has not been made to perfect the appeal. It’s not a routine matter for the U.S. government to appeal a criminal sentence, she said. "It considers each case individually," she said. "The Department of Justice tries to make a calculated judgment about cases that stand the best chance for the sentence to be found unreasonable by the court of appeals." As readers of this blog, sentencing judges now have considerable discretion to fashion a sentence they think appropriate under 18 USC 3553(a), here. This discretion is sometimes referred to as Booker discretion, named after the key case. United States v. Booker, 543 U.S. 220 (2005), here. Booker freed sentencings from the rigidity of the Sentencing Guidelines, here. Given the numbers involved in Warner's case, his guidelines range was substantial, hence in giving probation the sentencing judge gave a very large variance (variance is the Booker deviation from the Guidelines). Courts rarely reverse the judge's exercise of Booker sentencing discretion. But this could be a case where it does. I suspect that the Government will argue that the probation sentence in the case of a high profile bad actor just sends the wrong message, in addition to not being commensurate with the crime. In this regard, I quote from the Sentencing Guidelines 2T1, here. For the prior post on the sentencing, see The Beanie Baby Man, The Tax Evader Adult Man, Ty Warner, Gets Probation! (Federal Tax Crimes Blog 1/14/14; Updated 1/18/14), here. According to court documents, Hakimijoo, a U.S. citizen, and his brother maintained an undeclared bank account in Israel at Mizrahi Bank in the name of Kalamar Enterprises, a Turks and Caicos Islands entity they used to conceal their ownership of the account. Hakimijoo and his brother used the funds in the Kalamar account as collateral for back-to-back loans obtained from the Los Angeles branch of Mizrahi Bank. Although Hakimijoo and his brother claimed the interest paid on the back-to-back loans as a business deduction for federal tax purposes, they failed to report the interest income earned in their undeclared, Israel-based account as income on their tax returns. In total, Hakimijoo failed to report approximately $282,000 in interest income. The highest balance in the Kalamar Enterprises account was approximately $4,030,000. According to court documents, in March 2013, Hakimijoo was scheduled to be interviewed by Justice Department attorneys and IRS special agents. Prior to the interview, Hakimijoo, through counsel, provided the attorneys and special agents with copies of his amended tax returns for 2004 and 2005. When asked if the amended tax returns had been filed with the IRS, Hakimijoo indicated that the returns had been filed. Shortly thereafter, the IRS determined there was no record of the amended returns being filed with the IRS. When Hakimijoo was asked to provide copies of cancelled checks to prove that the taxes reflected on the amended returns had been paid, none were provided. Hakimijoo is the latest in a series of defendants charged in the U.S. District Court for the Central District of California with concealing undeclared bank accounts in Israel that were used to obtain back-to-back loans in the United States. Hakimijoo will be sentenced on April 28, 2014, and faces a statutory maximum prison term of three years and a maximum fine of $250,000. In addition, Hakimijoo has agreed to pay a civil penalty to the IRS in the amount of 50 percent of the highest balance of his one-half interest in the Kalamar account. My off the cuff comment is that the amended return gambit was incredibly stupid. But then we don't know all the facts, and he is not pleading to a false statement charge. Martin Lack will plead guilty to a crime on 2/26/14. See David Voreacos and Susannah Nesmith, Ex-UBS Banker Lack to Enter Guilty Plea in U.S. Tax Case (Bloomberg 2/10/14), here. “The parties have reached an agreement regarding the disposition of this matter and will be filing a written plea agreement,” Lack attorney Peter Raben and Justice Department attorney Mark Daly wrote in a Feb. 4 court filing that sought a date for the guilty plea. A day later, U.S. District Judge William Dimitrouleas set a Feb. 26 date. For the prior blog on his indictment, see New Swiss Enabler Indictment (Federal Tax Crimes Blog 8/2/11), here. I picked up that Barclary's two Swiss branch/affiliates are joining the US Swiss Bank initiative. "Barclays Bank (Suisse) SA and Barclays Bank plc Geneva Branch are participating in the programme, which requires a structured review of U.S. accounts," Barclays said in its annual report, disclosed on Tuesday along with 12,000 jobs cuts. "This review is ongoing and the outcome of the review will determine whether any agreement will be entered into or sanction applied to Barclays Bank (Suisse) SA and Barclays Bank plc Geneva Branch." The article does not say which category, but I infer they joined as Category 2, perhaps with the notion that, after full review if the facts are right, it might elect to go into Category 3. Below is the list as I currently have it. I show 35 banks joining as Category 2. A DOJ representative says that 106 had joined by the critical year end date. I may have missed some public information as to banks not on my list, but I understand that perhaps the majority of the 106 banks are not required to issue public information about joining the program. I am sure that other public disclosures will be made. So, I will update the list when I get new information. And, in this regard, encourage readers to send me information on banks joining the program. If possible, please link to a public source for the additional banks, since I don't won't to pass on unverifiable rumors. Here is my list as it currently exists. More than five years after a global economic calamity brought on by finance industry malfeasance and greed, the Dutch are taking a novel approach to improving banking ethics: an oath of office. Starting in January, all banking industry employees in the Netherlands must “swear that I will do my utmost to preserve and enhance confidence in the financial-services industry” and to put the interests of both clients and society first, according to Bloomberg. Swearers can choose between concluding the vow by saying “so help me God” or with a non-religious affirmation. The oath is coupled with a new regime of both criminal and professional punishments should they violate the industry’s legally binding code of ethics. The details of that new system of punishments and evaluations “remain unclear,” Bloomberg reports, but the idea is to replicate the sorts of self-policing professional boards that have long been standard for medical doctors. Of course, bankers misbehave in all sorts of contexts, with enabling tax evasion in other countries being only one context. It will be interesting to see how this plays out. In a comment, a reader directed me and other readers to a recent article that is quite good, so I decided to elevate the article to a separate blog entry. The article is Patrick W.Martin & Michelle Ferreira, The 2013 GAO Report of the IRS Offshore Voluntary Disclosure Program (1/10/14). The web version is here, and the pdf is here. The authors' bios are here and here. As the authors note, "the GAO Report indicates [that] taxpayers with little or no criminal or civil fraud exposure were punished proportionately in higher amounts than those who participated and had true criminal tax exposure." The authors break these categories into Bad Actors and other actors, referred to as Benign Actors. That Bad Actors would be treated better than Benign Actors is a counter-intuitive result. The authors also analyse the data to conclude that, relative to aggregate collections from those who don't opt out, the income tax is relatively small -- i.e., 64% of the collections is the in lieu of penalty, called the "Offshore Penalty," and 36% is income tax, penalty and interest. One key question that the GAO Report raises, is why would so many taxpayers enter into the Offshore Voluntary Disclosure Program if they were not at least as liable for income taxes or penalties under the law? The authors think the answer to this question can be simply answered. Neither taxpayers nor many of their tax advisors understand how tax penalties actually apply under the law, particularly because some penalties are not in the Internal Revenue Code. Instead of understanding what the requirements are under the law, taxpayers simply relied upon the Internal Revenue Service to inadequately explain how penalties could apply in and outside of the Program. Based upon only the Frequently Asked Questions (which were published subsequent to the Program’s announcement), taxpayers and their advisors had to make swift and uneducated determinations as to whether a taxpayer should participate on the Offshore Program at all and many feared all would be criminally prosecuted, as the IRS continuously led them to believe. Keith Fogg, Holding People Hostage for the Payment of Tax – Writ Ne Exeat Republica (Procedurally Taxing Blog 2/11/14), here. Jay Adkisson, A Wedding And The Writ Of Ne Exeat Republica (Forbes 2/7/14), here. The United States does not generally allow imprisonment – or, more broadly, constraining a person’s liberty -- for the nonpayment of debt. The exception for purposes of tax matters is the statutory approval in § 7402(a) for the writ of ne exeat republica. The Latin is “let him not go out of the republic,” and was developed in England as a chancery writ. The exercise of the writ implicates constitutional protections, including the “right to travel” which is “a constitutional liberty closely related to rights of free speech and association, * * *.” Notwithstanding this implication of constitutional rights, in extraordinary cases it can be granted. The writ ne exeat republica is an extraordinary remedy and should only be considered when all other administrative and judicial remedies would be ineffective. In appropriate cases, the writ ne exeat may be used as a collection device against a United States taxpayer who is about to depart from the territorial jurisdiction of the United States, or who no longer resides but is temporarily present in the United States and who has transferred his assets outside of the United States in order to avoid payment of his federal tax liabilities. The writ ne exeat is a court order which generally commands a marshal to commit to jail a defendant who fails to post bail or other security in a specified amount. The authority for the United States District Courts to issue writs ne exeat in tax cases is found in I.R.C. section 7402(a) and 28 U.S.C. section 1651. The debt relied on to support the writ must be enforceable against the defendant, be of a pecuniary nature and be presently payable. Thus, in tax cases, an assessment should be outstanding against the taxpayer. The purpose of the writ in tax cases is to prevent taxpayers from defeating the collection of tax liabilities by removing themselves and their assets from the territorial jurisdiction of the United States. As a practical matter collection by administrative means is ineffective where the taxpayer has either secreted his assets or removed them from the United States. If the taxpayer leaves the United States, judicial remedies may be likewise defeated since the court would then be powerless in most cases to enforce its orders or judgments against the taxpayer or his property, if located outside of the United States. Thus, the writ ne exeat ensures the continuing submission of the taxpayer to the jurisdiction of the court. Asem Elgawhary, the former principal vice president of Bechtel Corporation and general manager of the Power Generation Engineering and Services Company (PGESCo), was indicted by a grand jury in Maryland today on charges that he defrauded his former employers, laundered the proceeds of the fraudulent scheme and violated federal tax laws. The eight-count indictment alleges that from 1996 to 2011, Elgawhary, 72, of Maryland, was assigned by Bechtel – a U.S. corporation engaged in engineering, construction and project management – to be the general manager at PGESCo, a joint venture between Bechtel and a state-owned and state-controlled electricity company (EEHC). PGESCo assisted EEHC in identifying possible subcontractors, soliciting bids and awarding contracts to perform power projects for EEHC. The charges allege that Elgawhary used his position at PGESCo to provide preferential treatment to three power companies attempting to secure projects with EEHC in exchange for kickbacks from those power companies and their third-party consultants. The court documents allege that the power companies and their consultants paid more than $5 million in kickbacks into various off-shore bank accounts under the control of Elgawhary, including various Swiss bank accounts. In return, the power companies secured more than $2 billion in lucrative contracts. The indictment alleges that Elgawhary then also attempted to conceal the kickback scheme and the proceeds he obtained from it. Elgawhary allegedly sent to Bechtel executives and members of the PGESCo board of directors in Maryland various documents and “Representation Letters” that falsely represented that he had no knowledge of any fraud or suspected fraud at PGESCo and that there were no violations or possible violations of law or regulations whose effects were material and should have been considered for disclosure in PGESCo’s financial statements. In addition, when Elgawhary was interviewed by counsel for Bechtel in April 2011, he claimed that he never received money from power companies or their consultants and that he did not maintain control over any foreign bank accounts. With the help of other employees at PGESCo, Elgawhary also allegedly caused evidence about the kickback scheme to be deleted and destroyed, according to the charges. The court documents also allege that Elgawhary used money from one of his Swiss bank accounts to purchase a $1.78 million home in Maryland for two close family members. In order to conceal the origin of the money, however, Elgawhary and others made it appear that the money was from an unsecured loan from a marketing company owned and operated by another relative. Elgawhary also allegedly obstructed and impeded the administration of U.S. tax laws by falsely claiming that he maintained only one foreign bank account and denying that he received any income from any foreign bank account. Elgawhary also allegedly failed to report any of the kickbacks as income for the tax years 2008 through 2011. The mail and wire fraud counts each carry a maximum penalty of 20 years in prison and a fine of the greater of $250,000 or twice the value gained or lost. The conspiracy to commit money laundering count carries a maximum penalty of 20 years in prison and a fine of the greater of $500,000 or twice the value of the property involved in the transaction. The tax count carries a maximum penalty of three years in prison and a fine of $5,000. Many of Germany's rich, powerful and famous have hit trouble recently, not because of drugs or sexual escapades, but because the taxman has found out about their Swiss bank accounts. Amid the spate of cases, the public perception of tax-dodging is shifting from that of a naughty but common misdemeanour to a crime and a moral assault on fair burden sharing in society. German tax investigators started a major crackdown in 2010 when they got their hands on data CDs with lists of bank account holders in foreign tax havens such as Switzerland. The threat of dawn raids compelled many German tax cheats to come forward and report their accounts abroad, pay back taxes on the interest earned plus a fine, so they could once more sleep soundly at night. The CDs surfaced at a time when the EU and United States are stepping up pressure against cross-border tax evasion, forcing many tax dodgers to face the fact that the days of secret offshore accounts are numbered. Last year more than 26,000 Germans turned themselves in. In all the German government has made an additional 3.5 billion euros ($4.75 billion) from such back payments and fines since 2010. Now a debate has broken out within Germany's left-right coalition government over whether tax-dodgers should indeed be allowed to get off almost scot-free, or whether they should face harsher penalties. The centre-left Social Democratic Party (SPD) has suggested that the effective amnesty for people who come forward should be scrapped for all but the most trifling amounts. "I understand that finance ministers want the return of the money, but we must also be concerned about justice in this country," said Thomas Oppermann, the SPD's parliamentary leader. Right now the law allows that "we evade taxes as long as it all goes well, and when it doesn't, we just self-report," he added. The SPD financial expert Joachim Poss told Bild daily that "the amnesty for voluntary disclosure by tax evaders should be scrapped because it grants a privilege to tax evasion relative to other offences". Merkel's conservatives are against this plan, arguing that allowing people to come clean without fear of penalty remains the most pragmatic way for the state to get its money back. Finance Minister Wolfgang Schaeuble said this week: "I don't see compelling reasons for the abolition of the instrument." In the broader tax debate, "the yardsticks are shifting," wrote columnist Jan Fleischhauer for news portal Spiegel Online. "It used to be that a politician stumbled over an extramarital affair, today it is over an improperly registered account." I have just been provided documents related to the indictment today of another Swiss bank enabler, one Peter Amrein of Switzerland, a former bank client advisor and independent asset manager working with Swiss banks. The USAO SDNY press release is here. The indictment is here. And, after analyzing the documents, Here are the key excerpts from the press release. AMREIN worked as a client adviser at a Swiss bank (“Swiss Bank No. 3) and, later, as an asset manager at a Swiss asset management firm (the “Swiss Asset Management Firm”). In those roles, between 1998 and 2012, AMREIN helped U.S. taxpayers evade taxes and hide millions of dollars in undeclared accounts at various Swiss banks, including, among others, Wegelin & Co. (“Wegelin”), which previously pled guilty in Manhattan federal court for conspiring with U.S. taxpayers to evade taxes. In 1998, AMREIN began to work with Edgar Paltzer, a Zurich-based attorney, in the management of undeclared accounts for a number of U.S. taxpayers (collectively, the “Amrein/Paltzer Clients”). Paltzer has previously pled guilty in the Southern District of New York to conspiring to help U.S. taxpayers evade taxes. AMREIN requested that Paltzer establish sham foundations, organized under the laws of non-U.S. countries, such as Liechtenstein, so that the assets of the Amrein/Paltzer Clients could be maintained in accounts held in the names of these foreign foundations rather than in the names of the clients themselves. AMREIN made this request in order to help clients conceal their ownership of these undeclared accounts from the IRS. In 2006, AMREIN left his position as a client adviser at Swiss Bank No. 3, and began to work as an asset manager at the Swiss Asset Management Firm. When AMREIN left Swiss Bank No. 3, he transferred the undeclared accounts of the Amrein/Paltzer Clients to another Swiss bank (“Swiss Bank No. 4”). At Swiss Bank No. 4, the accounts continued to be held in the names of the sham foundations created by Paltzer, and continued to be hidden from the IRS. AMREIN, with Paltzer’s assistance, helped send funds back to the United States and to other foreign jurisdictions in ways that were designed to prevent U.S. authorities from discovering the existence of the clients’ undeclared accounts. For instance, AMREIN and Paltzer instructed a client adviser at Swiss Bank No. 1 to empty one of the accounts by sending checks in amounts smaller than $9,900 to the beneficial owner of the account, i.e., the U.S. taxpayer. On another occasion, AMREIN and Paltzer instructed the same client adviser to transfer the balance of one of the accounts, which was then valued at over $2.4 million, to another account controlled by the U.S. taxpayer in Belize City, Belize. 1. "The number of criminal prosecutions referred each year by the Internal Revenue Service (IRS) has risen by nearly a quarter — 23.4 percent — during the Obama administration when compared with the Bush years. " 2. "Convictions are also drawing slightly longer average prison terms — 27 months under Obama versus 25 months under Bush (see Table 1)." 3. "For both administrations, the odds have been roughly 50-50 that federal prosecutors will accept an IRS referral for criminal prosecution." 4. "[A] surge in IRS criminal investigations referred under Obama has fueled an increase in the number of cases prosecuted." 5. "Last year was a banner year for criminal prosecutions referred by the IRS. During FY 2013 the government reported 2,010 new prosecutions, a jump of 30.6 percent over the past fiscal year when the number of prosecutions totaled 1,539." 6. The report contains a graph (Figure 1) showing the number of criminal tax prosecutions for each year in the past 20 years. The graph shows 1993 as the high years, with a steady downward trend until the Bush years are reached in 2001, with a stead level until about 2010, a slight increase in 2011 and 2012 and a jump in 2013, but still in 2013 not as high as in 1993. Structuring transactions to evade reporting requirements (31 USC 5324, here). 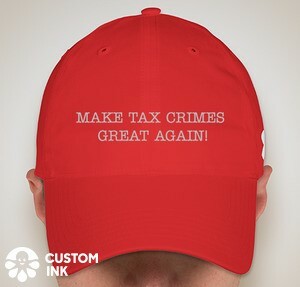 I should note that I would not classify 18 USC 641 as a tax crime, but all the rest (including the last which is identity theft tax crime, would be classified as tax crimes. As to 18 USC 641, I searched the Tax Notes database and found only one case that prosecuted under 18 USC 641. Tax Notes may have missed some or even many of them, but it is on the lookout for tax-related cases, so the dearth of 18 USC 641 cases suggests only that the tax community may not view these as tax crimes. Finally, I note that that statute is not listed on the IRS web site for IRM 9.1.3 Criminal Statutory Provisions and Common Law, here. Moreover, unlike many tax protesters, McQuarry appears to actually believe the frivolous arguments that she is making — not only to believe them, but to have become quite emotionally invested in them. In the Court's experience, some tax protesters do not appear to believe many of the arguments that they make, but appear instead to be trying to find some kind of a "loophole" to escape being held responsible for not paying taxes. Other tax protesters appear to be quite sincere, but they can at least carry on a rational conversation about their beliefs. They make arguments in a respectful and understandable way and, when their arguments are rejected, they accept the fact that the court has ruled and move on. But McQuarry appears to be unusually devoted to her views. For example, at a hearing on the morning of January 21, 2014, McQuarry displayed great emotion — indeed, started weeping — in frustration over the prosecutor's unwillingness to accept her offers to "settle" this case. These "settlement" offers appear to consist of McQuarry purporting to give the government permission to take money that does not really exist out of a trust account that does not really exist. Rather than take the advice of a respected and experienced defense attorney, McQuarry seems to troll the fever swamps of the Internet and to regard what she reads there not merely as presenting possible loopholes that she can exploit, but as presenting the Gospel truth — even in the absence of any evidence that these arguments have ever been accepted by a court or resulted in the acquittal of a defendant. McQuarry's comments at the January 21 hearing — and, more importantly, her many pro se filings — cause the Court to question whether she understands the nature of the proceedings against her. The Court has explained on multiple occasions that this is a criminal case, in which the government is accusing McQuarry of violating a criminal statute. Yet no matter how many times this is explained to McQuarry, she persists in treating this case as a private dispute over an alleged debt — a dispute that could be "settled" if the government would just take the make-believe money out of the make-believe trust account. And, indeed, someone reading McQuarry's papers — with their repeated invocations of the ancient maxims of equity and citations to archaic sources — might think that this case was being tried in 1814 in the Court of Chancery. McQuarry's demeanor before the Court has also become more erratic. As the Court has noted, McQuarry became highly emotional at the January 21 hearing, repeatedly interrupting the Court and weeping with frustration about the government's refusal to accept her offers to "settle." McQuarry has not before acted so emotionally during a hearing, but the government has informed the Court that McQuarry filed papers with the United States Supreme Court in which she threatened to commit suicide if she did not receive the relief she sought. Similarly, at the January 21 hearing, when the Court told McQuarry that it may have to order her detained because she rescinded her signatures on her appearance bond and on the order setting the conditions of her release [see ECF No. 144], McQuarry told the Court that it might as well "kill" her. These kind of statements are not typically made by competent litigants. The Court is also concerned that McQuarry gives her own highly idiosyncratic meaning to ordinary English words. For example, McQuarry told the Court at the January 21 hearing that she could not "represent" herself in this proceeding because it would require her to "re-present" herself as a human being, which, in turn, would somehow offend God. McQuarry's use of the English language is so idiosyncratic that it is difficult for the Court to carry on a conversation with her, because the Court is never certain what she is saying. Taken as a whole, McQuarry's behavior has raised sufficient doubt whether she lacks "a rational as well as factual understanding of the proceedings against [her] . . . ." Ghane, 593 F.3d at 780 (quotation omitted). The chief of the U.S. Internal Revenue Service said on Friday that a new law meant to fight offshore tax dodging by Americans will not be delayed again beyond its July 1 effective date, despite a clamor among banks asking for more time and guidance. It will require foreign banks, insurers and investment funds to send the IRS information about Americans' offshore accounts worth more than $50,000. Foreign businesses that do not comply with the law can be effectively frozen out of U.S. capital markets because of a 30-percent withholding tax on U.S. source income. The article reports practitioner concerns about delays in implementing forms. There is some practitioner thought that the IRS will have to delay the effective date because the forms will not be timely available. But, note that the buzz is not about repeal of FATCA but delay of some of its components. But given strong assurances from the Obama administration that the law will not be delayed again, "it would take something extraordinary" for the administration to waiver, he said. A source familiar with the Obama administration's position on FATCA said the White House will not allow another delay.